North Queensland’s Burdekin River is a major contributor of fine sediment to the Great Barrier Reef (GBR). Originating primarily from eroded grazing lands and stream banks, fine sediment makes water turbid, reducing the amount of light that seagrasses and corals need to grow and thrive. 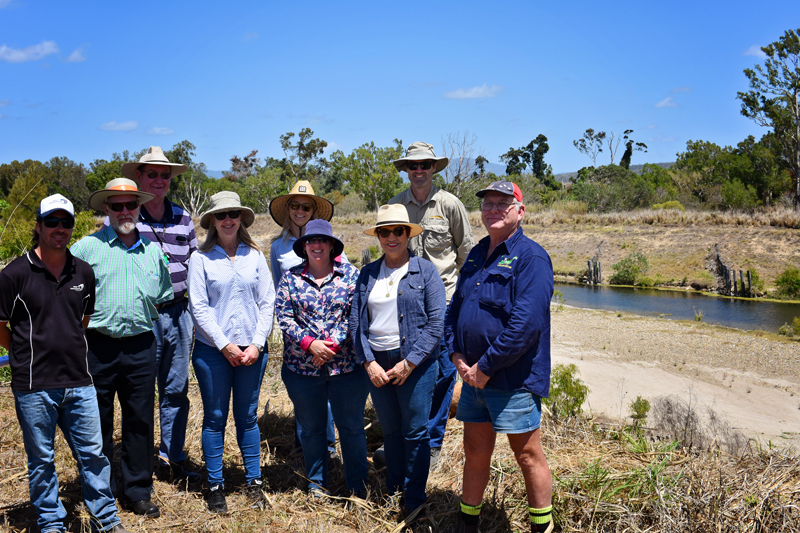 A new NQ Dry Tropics project aims to reduce levels of fine sediment in the Lower Burdekin Delta, south of Townsville – and improving wetland health will form a key part of the strategy. 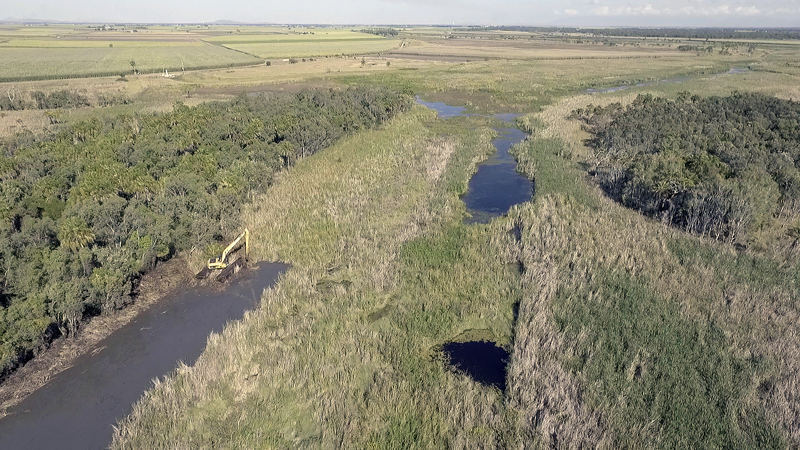 The four-year, Queensland Government-funded Reducing Burdekin Sediment project will focus on the Townsville-Burdekin wetland aggregation – a nationally-important waterway and wetland system and one of the largest clusters of wetlands on the east coast of Australia. These wetlands support commercial and recreational fisheries; host regional and migratory waterbirds; and benefit the local cane industry as they are used to store and transport irrigation water. Crucially, they also act as a natural water quality treatment system that helps downstream environments including the Reef, and the internationally-significant Ramsar listed wetlands of Bowling Green Bay. However, their ability to perform this function is reduced by impacts from agricultural development, altered hydrology, loss of seasonality and connectivity. Continuous low flows throughout the year have resulted in the loss of seasonality in the wetland systems, increasing the prevalence of invasive aquatic weeds, reducing habitat and water quality for wetland species. Both the Reef 2050 Water Quality Improvement Plan and the Scientific Consensus Statement recognise that wetlands can play an important role in improving the long-term health and resilience of the GBR. Research shows that the capacity of wetlands to improve downstream water quality can be increased during low flow conditions and that removing pollutants during these periods prevents them from being remobilised during high-flow events. 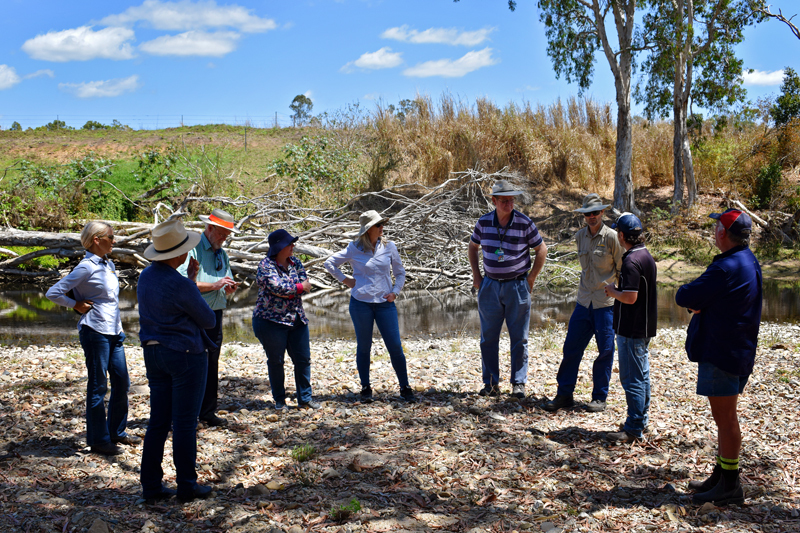 To address this, project activities will include removing targeted aquatic and riparian weeds, removing sediment, improving flow regulation, revegetating creek banks, and supporting upstream cane growers to minimise impacts on wetlands by improving farm management. These activities will focus on four priority wetland sites, and will be complemented by work to restore an eroded stream bank at a priority location. By addressing threats and restoring the natural function and resilience of these wetlands and the stability of the stream bank, this project will improve their capacity to capture and retain sediments, and prevent them travelling downstream. 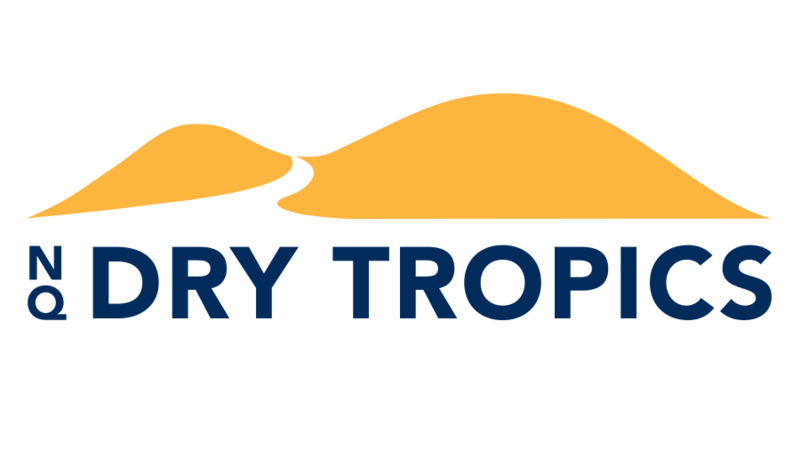 The project will build on the success of previous NQ Dry Tropics projects such as Systems Repair and Landscape Resilience, and will involve close partnerships with Burdekin Shire Council, Lower Burdekin Water, Burdekin Shire Rivers Improvement Trust, industry groups, landholders, Traditional Owners and community groups. The project results will be shared with the scientific community to address knowledge gaps, such as the role wetlands play in the Lower Burdekin Delta in trapping sediments and nutrients. Excavator at work removing aquatic weeds in Kalamia Creek, Lower Burdekin. Project team members and partners on collaborative fact finding field trip.